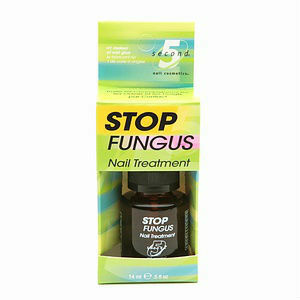 5 Second Stop Fungus Nail Treatment is an antifungal product that automatically works upon contact to the skin and is said to be available online; not found in stores that sell pharmaceutical products. It is made in the US and is contained in a small black bottle. The product claims to treat fungal infections in the toes, on the skin of the feet that are quite visible and in between the toes; athlete’s foot. It also claims to have a relieving effect that can sooth the user’s feeling and get rid of all the aches and itchiness brought by the fungal infection. Chloroxylenol 12%. This ingredient is responsible for the antiseptic effect which is important in disinfecting the infection and destroys the bad microorganisms that are residing in live tissue. Tolnaftate 1%. This component is responsible for the prevention of the growth of fungus. It blocks the total process and put it to a halt. Benzocaine USP 0.5%. This ingredient is responsible for the loss of pain and itchiness caused by the fungal infection. Isopropyl Alcohol. Used as a disinfectant. Methyl Pyrrolidone, Methoxyisopropyl Acetate, Cyclomethicone, Vitamin E, Aloe Vera, Calcium Fluoride, Phosphoric Acid. Inactive ingredients supporting the major and active composition of the product to hasten the process of healing. There are no indications for the dosage as long as you apply it in a thin layer over the infected part in the morning and at night. The product is harmful is taken in and if it has contacts with major sense organs. Most of its ingredients can cause very harmful effects of the human’s health. They are known to be irritants and can have a higher level of allergic reaction if given contact to the inside parts of the person. It is advised to never apply it in open wounds. Yes. This product is for the long term use considering that you will follow the regime up until there are no sign of itchiness and or infection in the affected area. $2.99. The product costs cheaper compared to the others because of its small packaging; but it is claimed to be very effective that it why it is not made in larger amounts. There are no indicated guarantees. Jack Stevens	reviewed 5 Second Stop Fungus	on October 15th	 and gave it a rating of 3.